Spring is in the air. 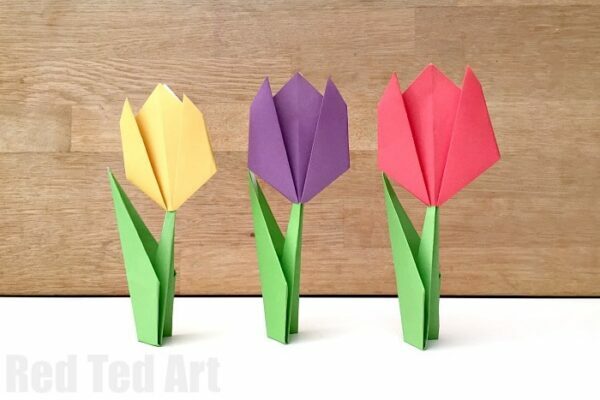 Mother’s Day is around the corner and today we have a gorgeous little and Easy Paper Tulip Craft for you! 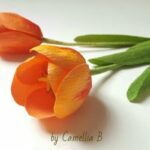 These Paper Tulips are super easy and would look great on a greeting card, as part of a big collage, or make them with stems and have them as “stand alone” decorations. 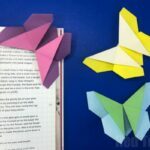 They are also a great Origami project for beginners (we have lots more ideas for you to check out!! ), as they are so quick and easy to do. 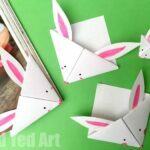 We have become a little obsessed with paper crafts – as you can make these almost any place and any time – all you need is a pad of paper!! 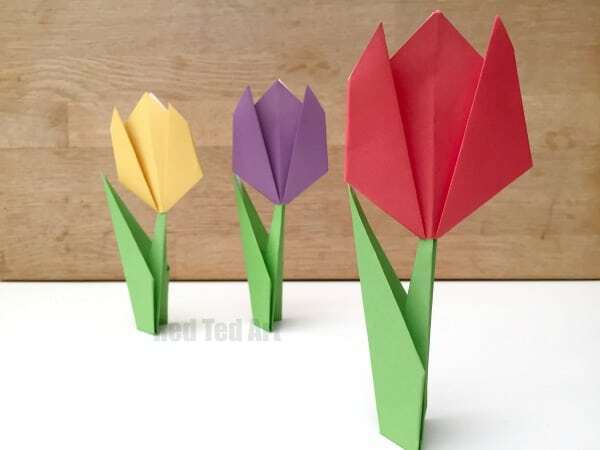 If you glue the two parts together, I think this simple Paper Tulip.. would really work well as an easy Tulip Origami Bookmark, don’t you think?! 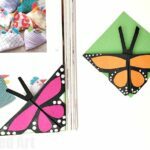 If you like this video, please DO Subscribe to our YouTube channel – to see all the latest, easy, fun, crafty ideas. 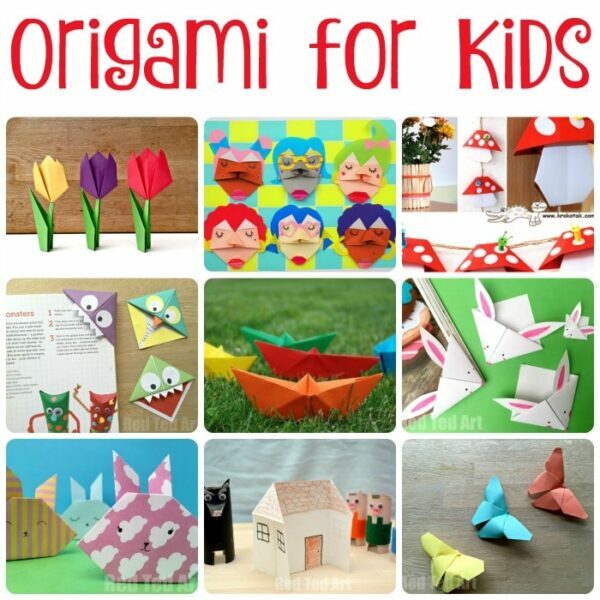 Great for kids – especially during the holidays. Get them making!!! The channel is totally free and we would love to **have** you there! Aren’t they simply adorable? 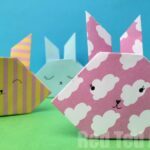 As mentioned above, we have lots of paper crafts and Origami ideas for kids on both the blog and on our YouTube channel… plenty of ideas to get stuck in and have a go and discover your love for paper!!! 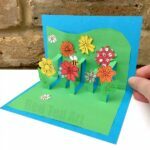 There are paper crafts for all levels – lots for beginners and also, some for those feeling more confident and wanting to give something new a try! 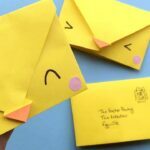 Our mother’s day has just been and gone in the UK so I wish I’d seen these earlier as they would have been so cute to send in the post! Yes!! I know! Maybe save it for someone’s Birthday? I REALLY ENJOY YOUR KIDS CRAFT. 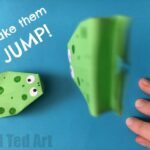 I HAVE 3 GRANDKIDS AND WE HAVE GREAT FUN MAKING THE STUFF. Oh thank you! Am so pleased to hear it!